I understand why folks are upset at NBC. Who wants to watch a tape delayed broadcast when the score is already in hand? Meanwhile, NBC is concerned with ratings. They’re in the television business. Yes, it’s the Olympics and yes NBC must perform. They know they can’t please everyone. Could they make the streaming process? Absolutely. And yes, there are folks out there without cable who don’t want to download Silverlight. Regardless of the #NBCFail tag NBC clearly owns the rights to the next three Olympics. Translation- you’ll watch because everyone else is. 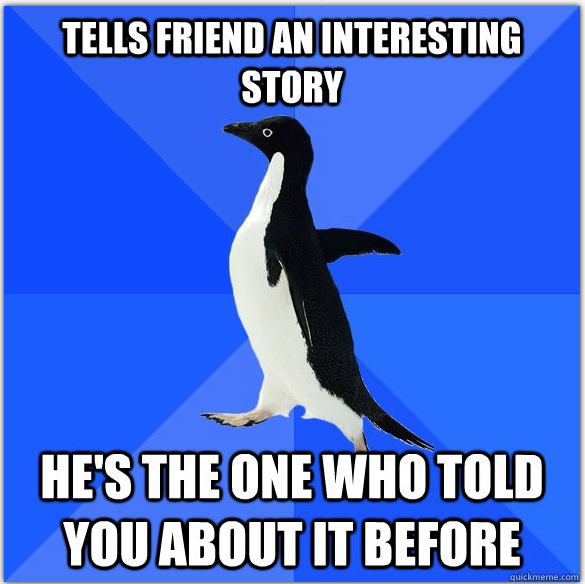 Otherwise it’s socially awkward penguin for you! (Irony, I know). Meaning, if NBC continues on this track there will be plenty more Tweets concerning the Sochi, Russia, Rio De Janerio, Brazil and the as of now unawarded 2020 Olympic games. What’s always fascinating is folks outside of television programming imagining what television executives should do. Television is a business. For all the feel good stories the Olympics is a business. Will NBC make a profit? We’ll see. I for one will leave the broadcast decisions to the professionals. Never mind if anyone is watching. On a delayed tape. Am I watching the Olympics? Um, not really. I’m more of a winter Olympics guy anyway.